Which of the following is possible only when History List messages are stored in a database? A. History List Messages are available in a two-tier environment. B. When deleting History List messages using a schedule, a single session is created on the Intelligence Server. C. History List messages can be shared across cluster nodes. D. You can duplicate History List messages on reprompt or refresh. 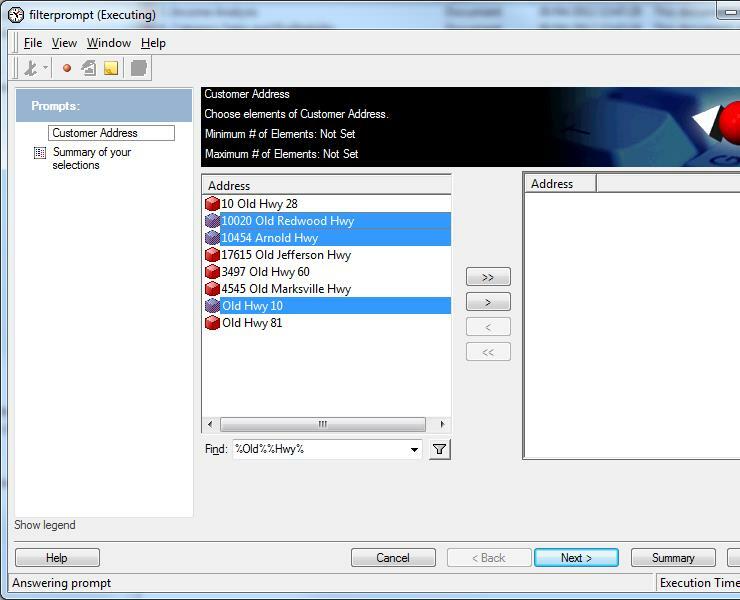 Access additional information about each History List message, such as message and job execution statistics. As a result, you can effectively monitor and manage the History List based on its actual usage by the users. The database backing of the History List provides greater scalability and improved performance. Instead of accessing a multitude of large files that usually reside on the server machine, you retrieve users’ inbox information from a database. When the administrative task to delete History List messages is triggered, it creates only one session on the Intelligence Server rather than multiple separate sessions for each user. 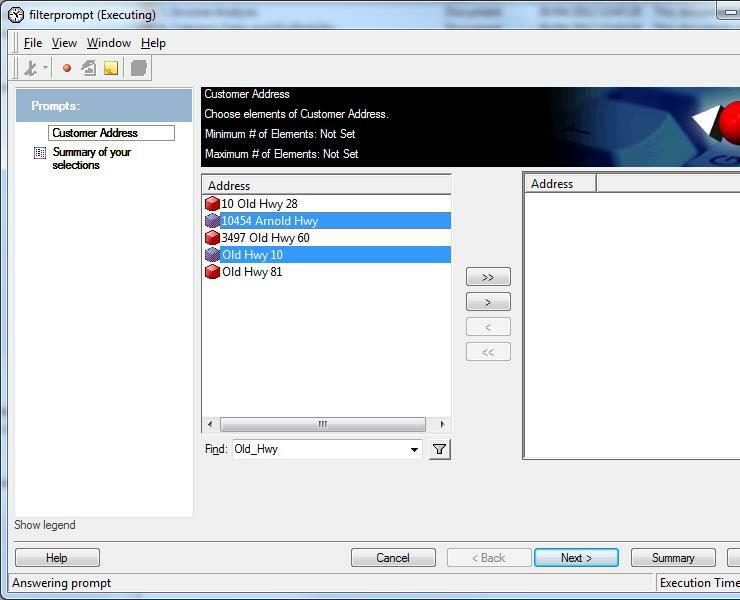 Use the History List Messages monitor to monitor and manage messages for each MicroStrategy user. There are cases in which a dynamic prompt is used to qualify attributes selected to be part of a report, but the attribute list is very long. Attributes like ‘Street Address’ may contain keywords like ‘St’, ‘Ave’, ‘Dr’ that can be used to reduce the list of selected elements. It is possible to filter the list using the find box and to include one or more substrings that can be logically ‘ORed’ (Will be included if any of the substrings is found) or logically ‘ANDed’ (Will be included if all substrings). 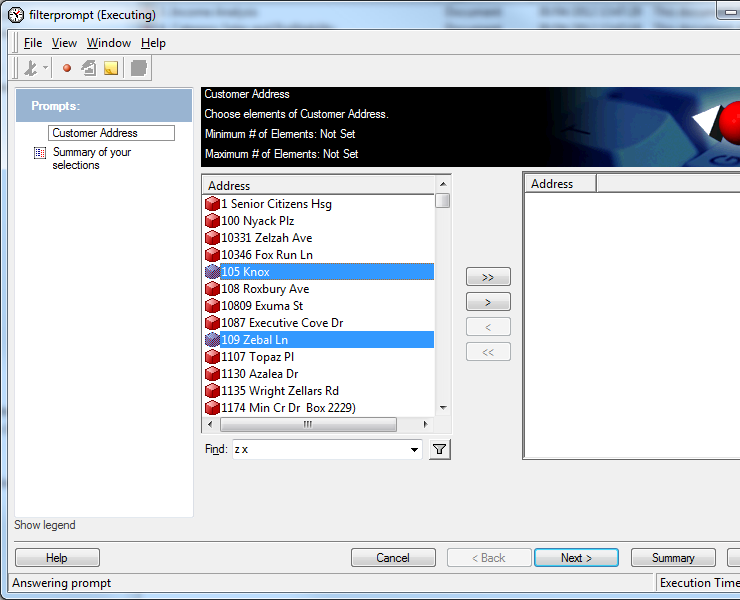 In this example, all listed addresses contains string ‘z’ OR string ‘x’ in any position of the description. Observe that substring ‘Old’ and ‘Hwy’ can be part of other string and can start in any position. However, using %Hwy%%Old% will produce a different result. In this example, this filter will produce an empty list as there is no address that have substring ‘Hwy’ before ‘Old’. Special character ‘_’ should be used to represent a single space. Cannot be duplicated for representing multiple space. In this example, if the filter were ‘_Old_Hwy’, the last two elements will not be shown as they do not begin with spaces. NOTE: Examples shown in MicroStrategy Desktop, but it apply also to the Web interface when using the find box in dynamic prompts.